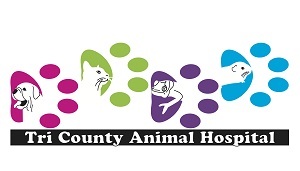 The professionals of Tri-County Animal Hospital provide the highest quality care for companion animal(s), using the most modern technology and veterinary techniques. We focus on the whole animal, addressing needs such as wellness, longevity, behavior, and the human-animal bond. In addition to veterinary services, we offer our clients a wide variety of informational resources to assist them with animal care decisions and to locate quality animal care products or services. Excellence in customer care is the foundation of our practice and we strive to leave you feeling comfortable, informed, and with all of your questions answered.